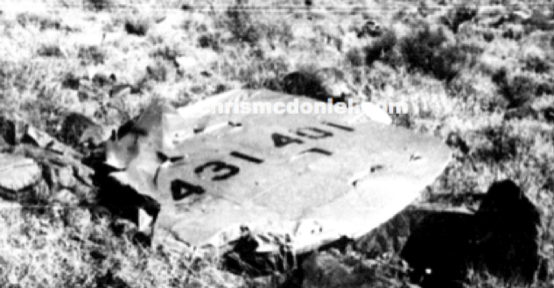 August 11, 1945, B-25J, 44-31401, based at Yuma AAF, crashed near present day Lake Havasu City. Little debris remains. According to the mishap report, the aircraft flew into the mountain after encountering low clouds and rain. 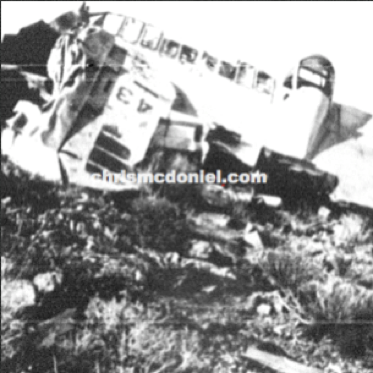 All five men aboard the plane died. 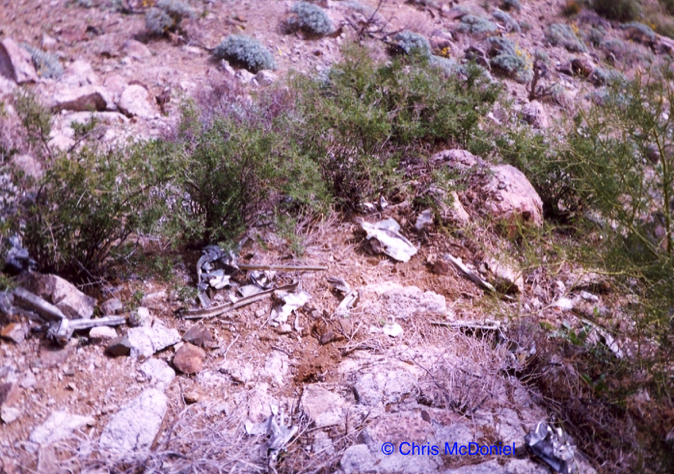 Small debris is scattered high on one of the ridges and one radial engine is easily accessible lower down the mountain. Very little remains of the B-25 except small scattered remains.